Thanks to Larry Brewster (a.k.a. " Typhoon Larry") for much of the information on this page, including many of the photos. 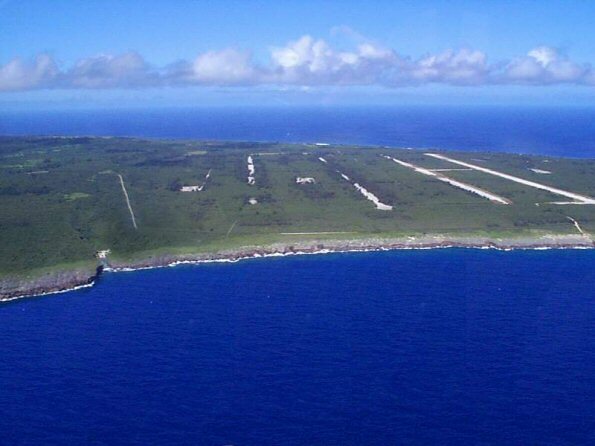 On the left is A Landsat-7 picture of Tinian. North runway is clearly visible. (The blues and greens are adjusted to reflect their true colors.) 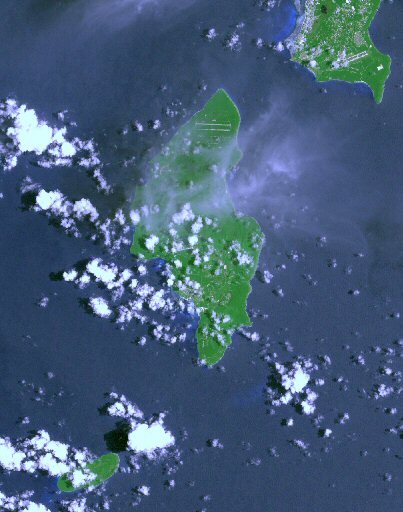 On the right, the recent eruption of the volcano on Anatahan island blows smoke towards Tinian island (visible in the lower center). 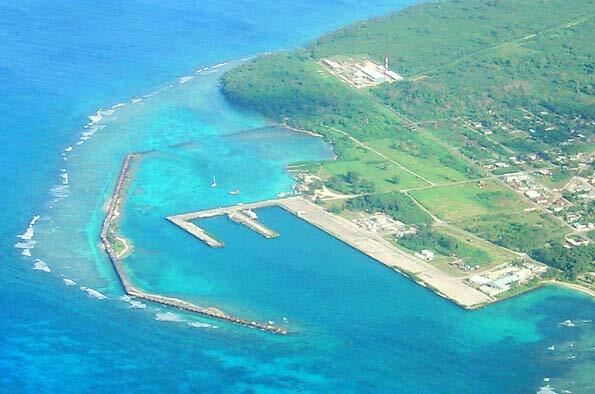 The harbor on the southwest coast of Tinian. The shallow water is light blue. 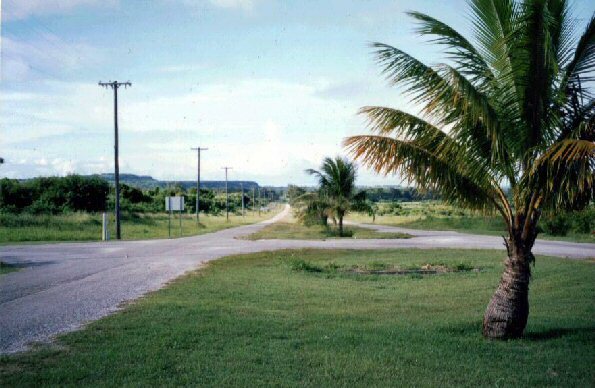 Broadway is the main north/south road on Tinian. 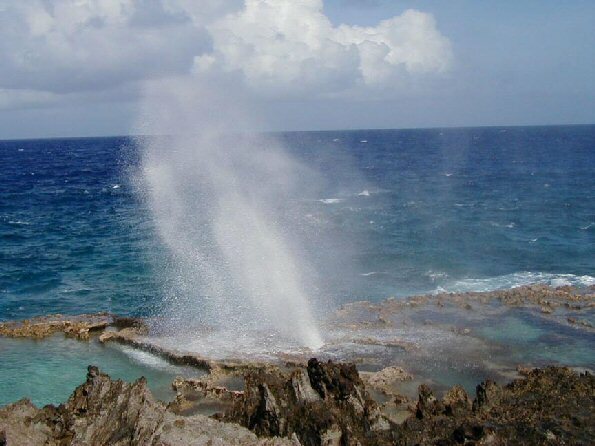 The "blowhole" on the northeast coast of Tinian. The "Voice of America" radio array, just west of Mt. 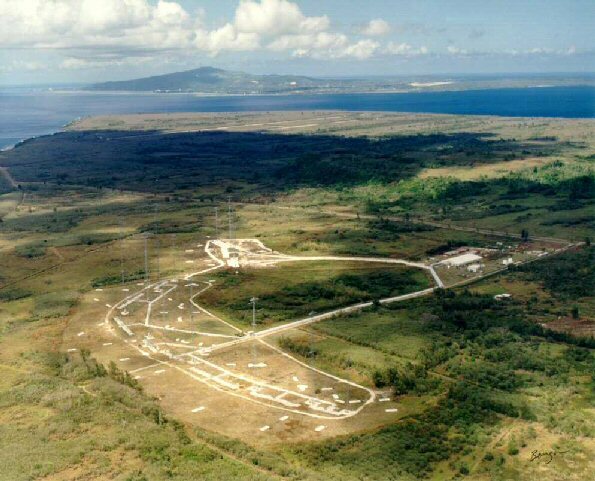 Lasso, facing northeast towards the airfield and Saipan. 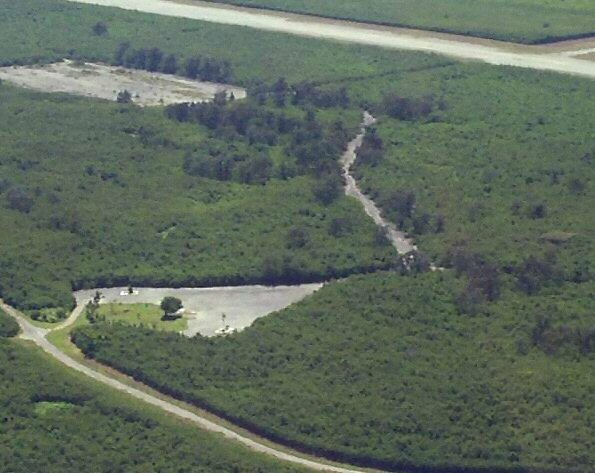 North Field is now covered in vegetation, except for the tourist areas. North Field from the east. The short road to the coast on the right leads to the blowhole.